Awesome work and trap recovery guys – keep up the good work. An early start at 06:00 this morning to get to Kogyae with sufficient time to collect and deploy all traps across three sites (30 traps in total) and return to FORIG within a single day. We arrived on site at around 10:30, and after some deliberations as to which guide knew exactly where the plots we needed to reach, we were on our way to the first site. The first site was the savannah plot, with a wide open canopy and grasses above head height. 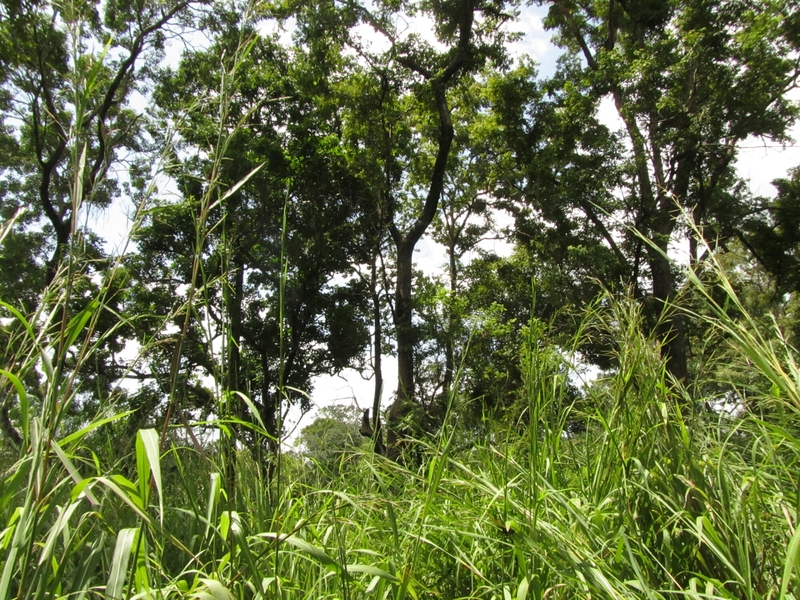 Immediately the difference to the forest at Bobiri was striking (image below). All 10 traps deployed here last year were successfully located, retreived and replaced with fresh traps. Did you manage to bump into the Oxford team in Kogyae? Yes – I got an email from Wes saying that they had managed to meet up with some of the Oxford team at Kogyae.